6th for Israel if accepted, since 20/7/14. 3rd, 4th or 5th record for Israel if accepted, ssp. atrifrons. Still present. 3rd, 4th or 5th record for Israel if accepted, ssp. atrifrons. Relocated today..
1 Pilmore Quay, Co. Cork, Irland. 3rd, 4th or 5th record for Israel if accepted, ssp. atrifrons. only present on tuesday (16th), news came out on friday. 3rd for Israel if accepted. 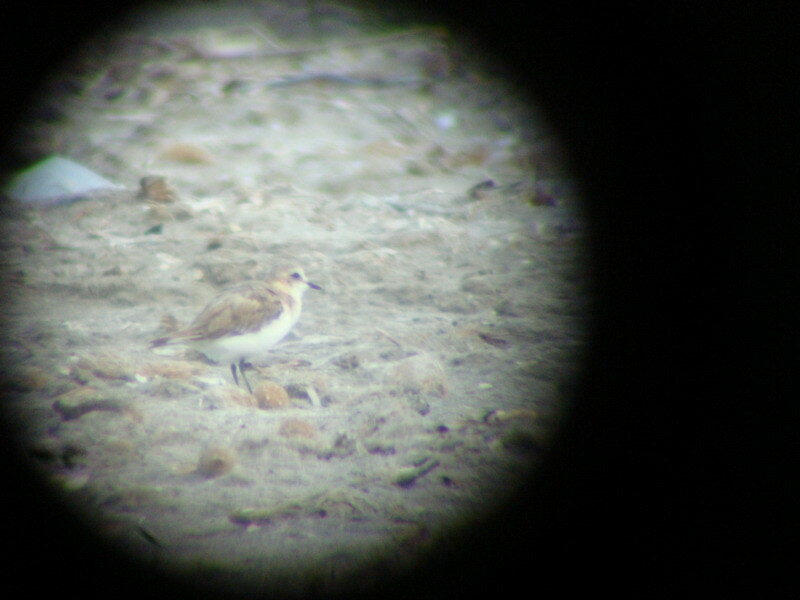 belated news of Italy's first Lesser Sand Plover on august 23rd..
1 Rewa northern Poland, Polen. bird was caught and ringed today. 30/12-05 present since 11/11-05. bird was caught and ringed today. 1 adult, Réserve naturelle de Moëze, Charente-Maritime, Frankrig. Probably the same bird as the one seen 09-15.07.2004. Can be very elusive. Seen many places..
Can be very elusive. Seen many places. 1 Rømø. a island in the Wattensea, Danmark. bird of the race C.m mongolus. no further sign by 09:00.
bird of the race C.m mongolus. 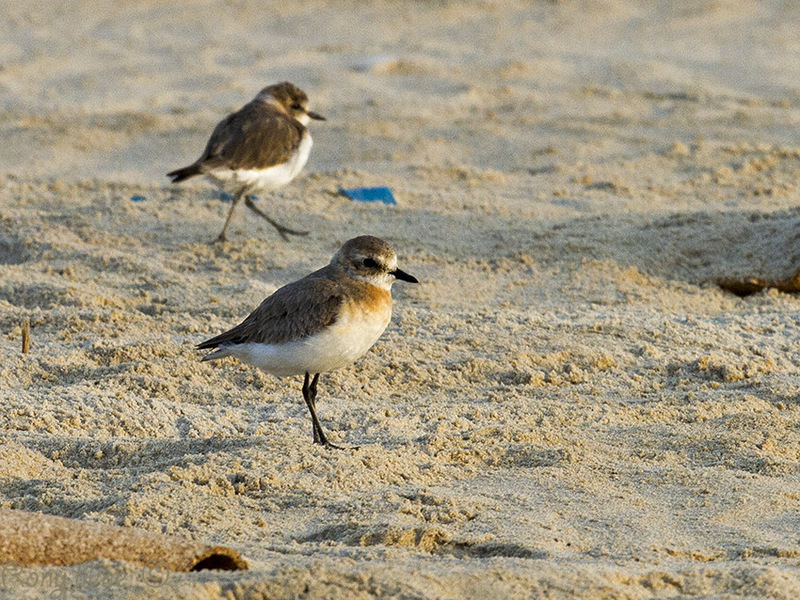 Unidentified Sand Plover. Comments on pictures are highly welcommed. 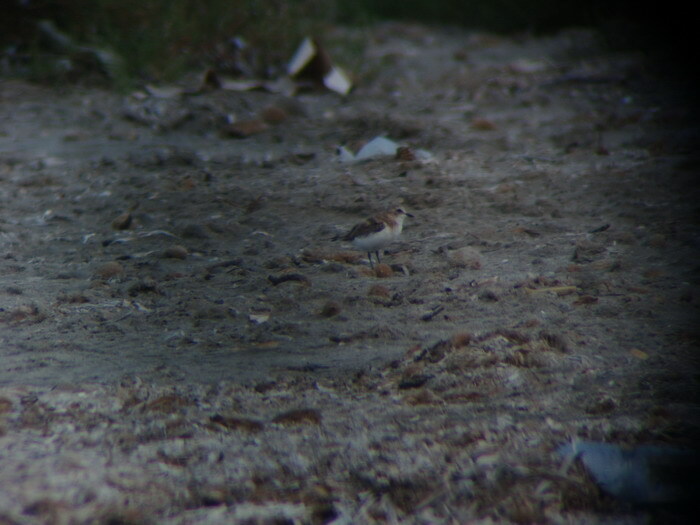 3rd Greater Sand Plover for DK or 2nd Lesser Sand Plover. 1 ad. type, Estuaire du Rio Sado, Portugal. Fuglen har det meste af dagen, været bestemt som Ørkenpræst, men står nu som Mongolsk Præstekrave.